This is my version of the Japanese curry! To coat the chicken I used Panko breadcrumbs, they are quite readily available now however golden breadcrumbs or even crushed up puffed rice cereal will work just as well! Place the chicken between two pieces of cling film & bash with a rolling pin until they are even thickness. Put the flour, egg & breadcrumbs into shallow dishes or plates. 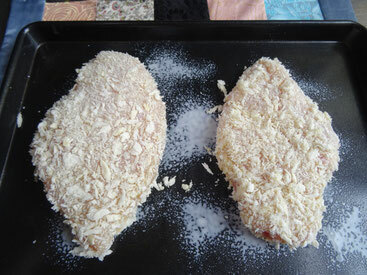 Dip each chicken breast first into the flour, then the egg & finally the breadcrumbs. Make sure they are evenly coated. 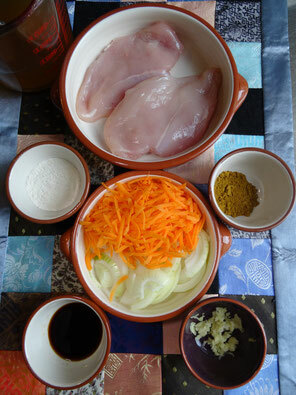 Place the coated chicken onto a baking tray & put in the fridge to chill for 15 minutes. To make the sauce heat 2 tbsp of oil in a large frying pan over a medium heat. 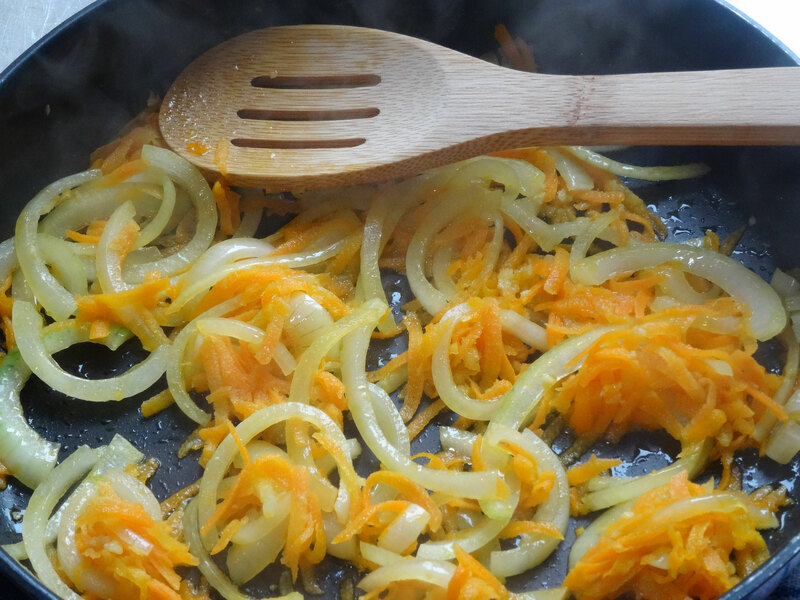 Cook the onion & carrot for 2 minutes then add the garlic. 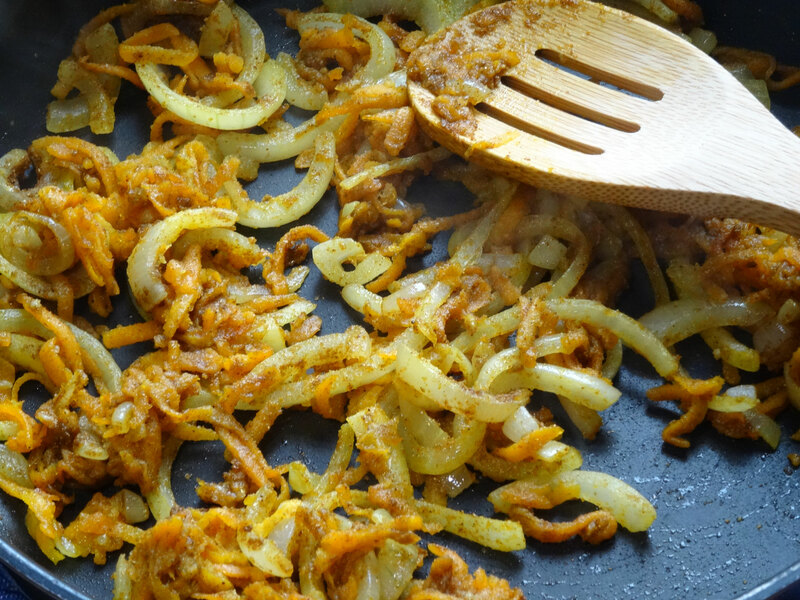 Cook until soft then stir in the flour & curry powder. Keep stirring for about 3 minutes to cook out the flour & avoid that floury taste! Gradually add the stock stirring well to keep it smooth. 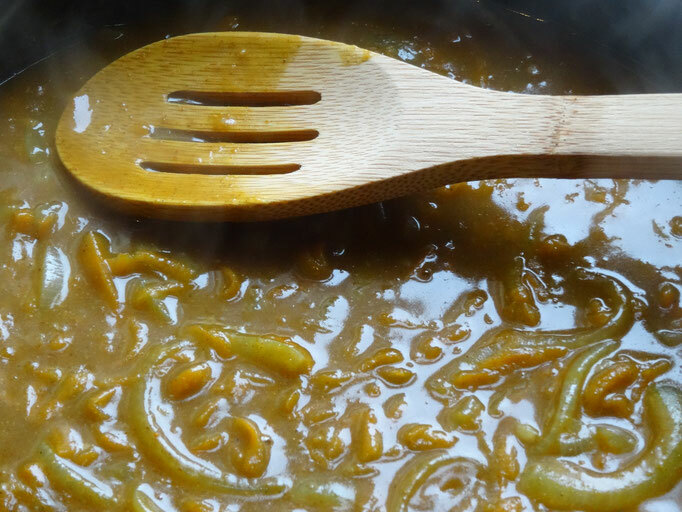 Pour in the soy sauce & season with pepper-you are unlikely to need salt as the soy should take care of that. While the sauce simmers remove the chicken from the fridge & place in the oven for 25 minutes. Once cooked remove the chicken & cut into slices. Serve the chicken with the sauce on top & plain rice-& some extra sauce on the side.